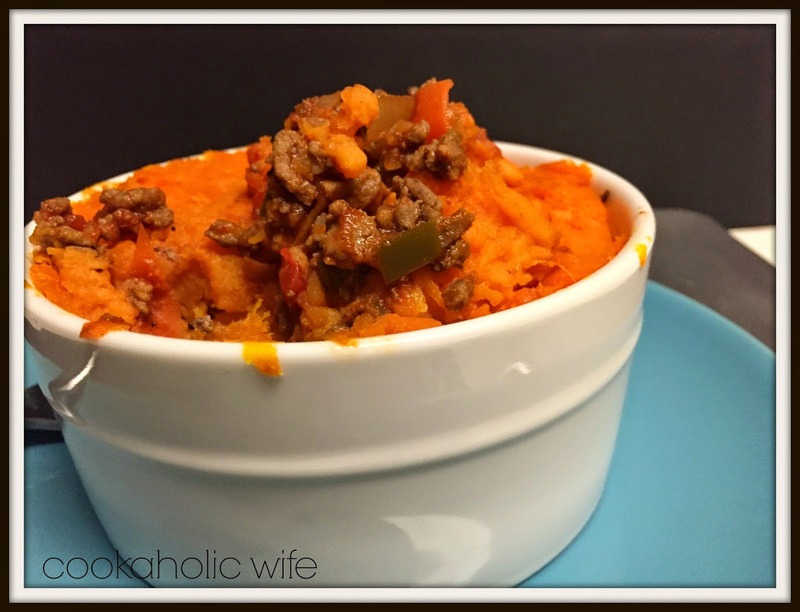 It’s not always easy to find Whole 30 recipes that your picky-not-doing-a-Whole-30 husband will eat. So when I found this recipe on Pinterest, I was nearly ecstatic. Tom loves Shepherd’s Pie and he also loves tacos. It was a combination perfect for him. Fine, I’ll admit I made these in individual ramekins so I could top his with white mashed potatoes, seeing as he does not eat sweet potatoes, but in the grand scheme of recipe adaptations, that was a small sacrifice I was willing to make. 1. Heat the olive oil in a large skillet. Add the carrots, bell pepper and onion and cook for 2-3 minutes, then add the ground beef. 2. Once the ground beef is browned, drain any excess fat and add the remaining ingredients. Lower the heat to low and cook until the vegetables are soft. Set aside. 3. Add the diced sweet potatoes to a large pot of salted water and bring to a boil. Boil for 7-8 minutes or until the potatoes are fork tender. 4. Drain water from potatoes, add butter and coconut milk and mash until you reach your desired consistency for mashed potatoes. 5. Preheat the oven to 350. Grease a 9×13 baking dish or individual ramekins. Spoon the meat mixture into the prepared dish. Top with the mashed potatoes and spread evenly. 6. Bake for 30 minutes. Allow to cool 5 minutes before serving in ramekins, 10 before slicing and serving from a large dish if you want it to keep its shape. I highly suggest you make this right away. 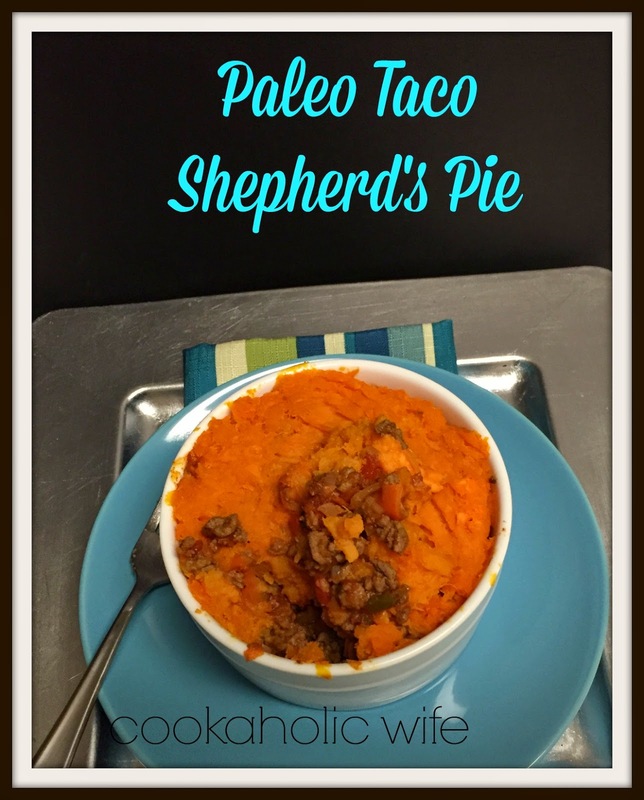 Even if you aren’t doing Paleo or a Whole30, it’s still a really flavorful and delicious dish.